Our reader Kendall1120 posed this question on Curly Q&A and we brought in the experts to get her an answer. I don’t use heat and I wear my hair out 100% of the time...I wonder if my hair will become straight. Is it possible that there is damage on a follicular level? Without the proper consultation from a licensed trichologist and hair stylist and no picture, it is difficult to give you an accurate answer. Capella Salon owner, Shai Amiel, tells me, "you need to see what condition the hair is in first before determining the problem. It would be necessary to get some more information on what previous treatments, color, styles that she’s had in the past. Not to mention the possibility of hormonal changes and medications that can be factors as well." In addition to this product, you may create your own scalp detox treatment as an at-home remedy. Spritz directly onto your scalp and massage it in. Tilt the head back to avoid the eye area. Be sure that the rinse runs throughout all of your hair then leave it on for a few minutes. Rinse well and continue with your conditioner. This will remove dead skin cells, product build-up, clean clogged pores, balance the pH level, stimulate the follicles and prevent dandruff in your hair. Another scenario could be that she has wavy sections due to previous heat or relaxer damage, although you mentioned that you have cut all the damage off. While the hair is in its growing phase, use perm rods, Curlformers or finger coils on the stubborn straight pieces to train the curls. 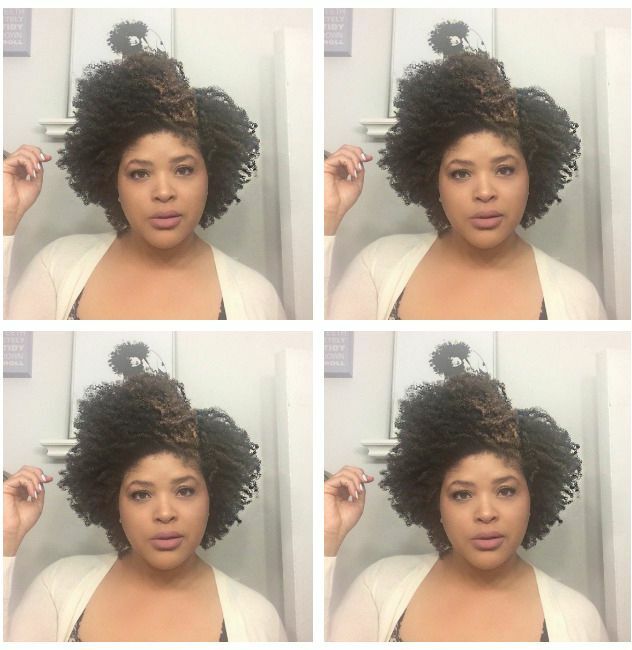 How do you deal with multiple hair patterns and textures? Let us know down below in the comments.